#27 Virginia - Mellow Shag-cut Red An excellent indoor smoke any time of day, this beautiful, orange-red, shag-cut cake has a mellow flavor and a light, subtle aroma. Mixture #1 - Exceptional smoothness and light aroma make mild mixture an ideal morning and indoor smoke as well as a pleasant change of pace for Matured Virginia smokers. Mixture #6 - A balanced, old-style medium mixture, its robust flavor due to the liberal use of Middle and Eastern Belt orange, Virginias. This is an invigorating tobacco, any time of the day, indoors or out, both satisfying and refreshing. Dominican Glory - The flavor of a fine mild cigar in a satisfying tobacco for the pipe. This blend of premium Dominican leaf is seasoned with Matured Virginia for balance and refinement and is presented in wide ribbon form for cool smoking pleasure. For the best of both worlds, enjoy Dominican Glory in the pipe. Dominican Glory Maduro - A balanced blend of rich, dark maduro cigar leaf and matured red and stoved Virginia tobaccos. 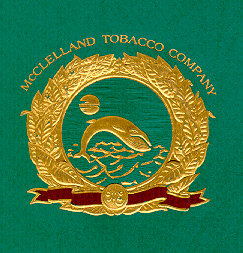 The perfect pipe tobacco for the connoisseur of maduro cigars who enjoys pipes. Pressed in cakes and aged to develop character and marry the flavors, then cut in flakes to be rubbed out to the smoker's personal preference. Bombay Court - An exotic Oriental mixture spiced with the finest, rare Turkish tobaccos, cut wide and enhanced by the naturally aromatic, cool character of just enough smoky Latakia. Matured Virginias fine-cut from aged cakes add their naturally sweet, full flavor to round and balance this superb blend. Deep Hollow - Far into the woods, away from the urban cacophony, is where this light, fragrant blend of rich red and black stoved Virginias is designed to transport the smoker. Relax and enjoy the moment. Frog Morton On The Town - Frog Morton formulated this exceptionally mellow blend, fragrant with Basma, smooth and rich with Latakia, for his evenings at the opera. This is an elegant companion to the original soft, full Latakia blend. Virginia Woods - Formulated for a smooth, rich flavor with an incomparable woodsy aroma. Blended from the finest in matured red cake, stoved black Virginia, wide-cut bright Virginia and other premium tobaccos, Virginia Woods offers one of the ultimate experiences in Fragrant Matured Virginia blend smoking. Arcadia - It was Dr. Watson's favorite tobacco. Holmes identified it by its characteristic white, fluffy ash. Sir James Barrie lauded it to the point of immortalization in "My Lady Nicotine." Years later, it was widely circulated that the Arcadia Mixture was really the Craven Mixture developed by the third Earl of Craven and produced at the Arcadia Works of Carreras, Ltd., in London. Carreras is now long gone and the Craven Mixture has not been available since 1993. Black Shag - Sherlock Holmes kept it in the toe of a Persian Slipper nailed to the mantelpiece. It was dry and strong. Kept at what today have deduced to be proper smoking moisture and smoked gently, this excellent stoved shag will provide hours of smoking pleasure. Smoke at once, if convenient. Examine the ash carefully. Honeydew - The sweet, fragrant Honeydew was all gone by the time Susan Cushing offered the container to Sherlock Holmes, but he was undoubtedly familiar with this fine Irish flake's gratifying flavor, pleasing aroma and gentleness on the palate..
Acadian Ribbon - Rich with Perique, tangy and pleasant to the tongue, this best-ever Virginia-Perique blend fills the mouth with flavor and deepens in character as it is smoked. Tawny Flake - Little, elegant flue cured Virginia flakes, redolent with sun-dappled sweetness, and pleasantly tangy. This skillfully blended tobacco, mellowed with Blakeney's exclusive toasting process, fills the pipe with pleasure. Rose of Latakia - Only the most precious, most flavorful Syrian leaves are called Rose of Latakia. This fine blend is complex, delicate, fragrant, incredible. Townsman Black - The Townsman Series tobaccos harken back to the colonial days when tobaccos was routinely flavored with sugars, wine and liquors to mellow their harsh taste. Townsman Black is flavored with a delightful Brandy topnote. Townsman Blue - The Townsman Series tobaccos harken back to the colonial days when tobaccos was routinely flavored with sugars, wine and liquors to mellow their harsh taste. Townsman Blue is a blend of the finest Burley, Maryland, and Virginia tobaccos finished with a wonderful sugar maple flavor for a sweet, cool smoke. Townsman Silver - The Townsman Series tobaccos harken back to the colonial days when tobaccos was routinely flavored with sugars, wine and liquors to mellow their harsh taste. Townsman Silver has a fantastic Rum added that makes this one a tough choice between drinking it or smoking it!